When on the trails in your Wrangler JL you might encounter damaging tree limbs against your windshield frame. 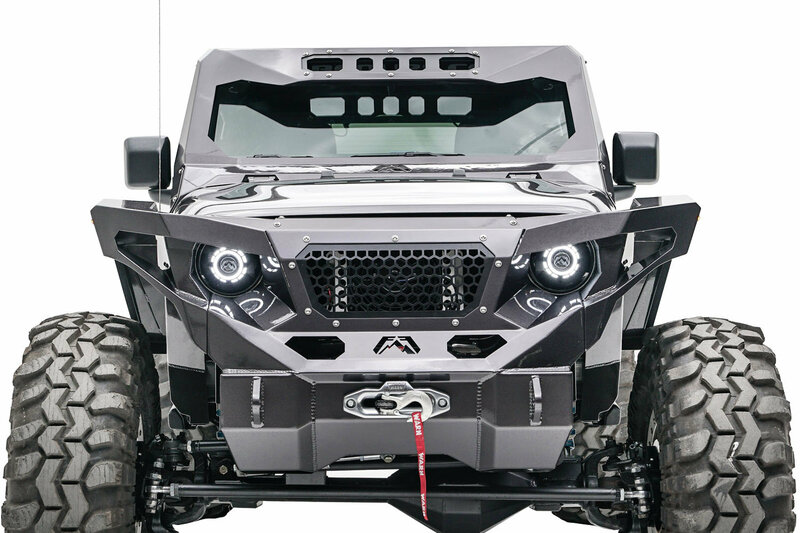 Why not add something that not only protects but makes your JL stand out from the crowd! 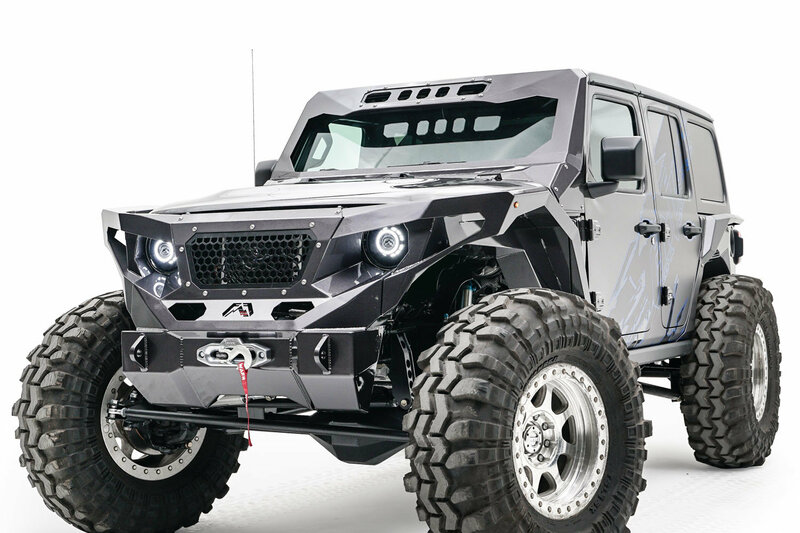 The ViCowl from Fab Fours gives your Jeep an extreme rugged look that will hold up in the protection department from whatever you encounter on the trails. 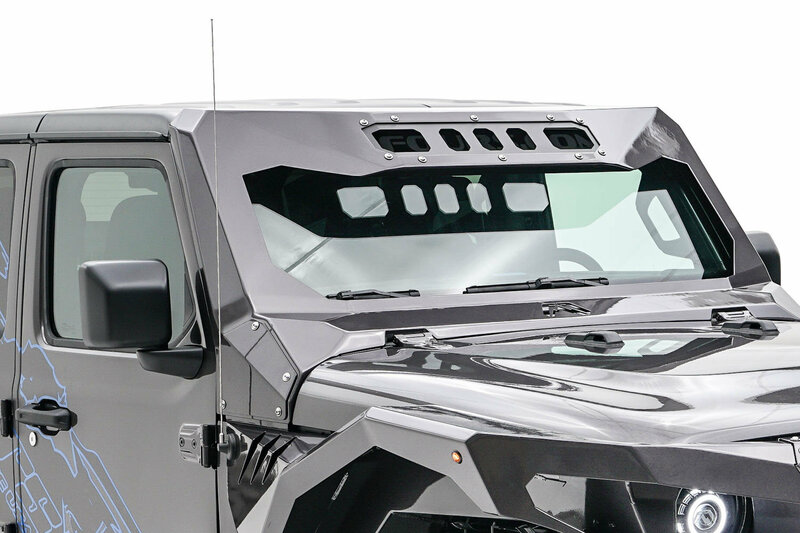 Design & Features: The ultimate in windshield protection for your JL, this ViCowl gives your Jeep an aggressive make over with added protection. 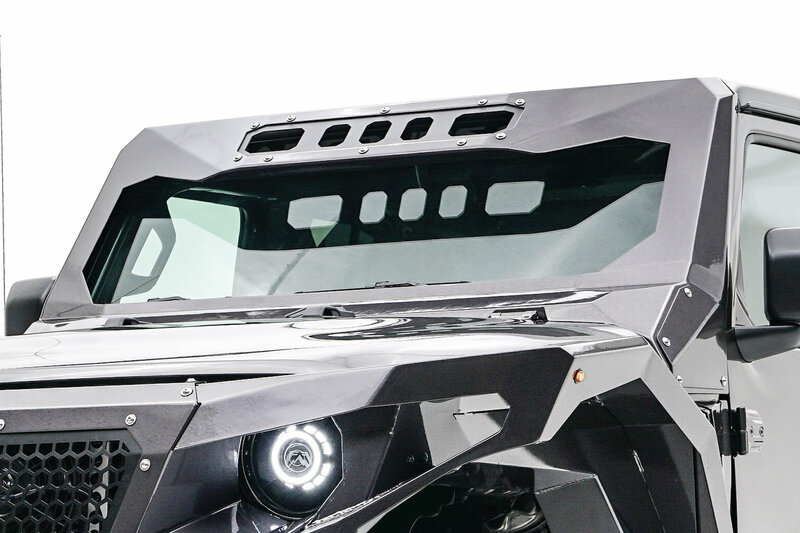 Along with the added protection you can light up the trails at night when you purchase the optional Light Insert giving a better view of rocks, hills or whatever you come across. Construction: Made from 11 gauge steel to protect your windshield then hit with a stage 2 matte black powder coat to prevent rust and scratches keeping your JL and ViCowl looking great. Installation: Transforming the look of your Jeep is a simple process that will require minor drilling. You will be back on the road in no time with a new look that will make your fellow Jeep buddies jealous.